Louis Vuitton Multiple wallet is made with high-quality crocodile skin. This wallet can be attributed to an elegant men's model. The crocodile wallet has a lot of slots for credit cards, compartment for banknotes and checks. 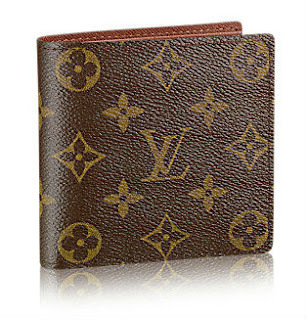 The Multiple wallet is compact and easily fits in your pocket. 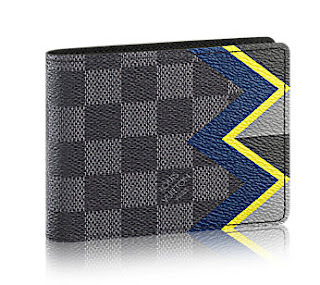 Another model Multiple wallet made of modern masculine version of Monogram canvas with a pattern of blue letters . Crocodile Multiple Purse also has many slots and compartments for credit cards, bills and checks. The compact dimensions allow to carry a Luis Vuitton wallet in the pocket. According to functionality crocodile wallet Zippy XL is more like a small bag. It is wide enough so that it could put the phone (there is a special section), keys, passport, and credit cards and cash. Special strap allows you to carry it in your hand, creating a refined image. 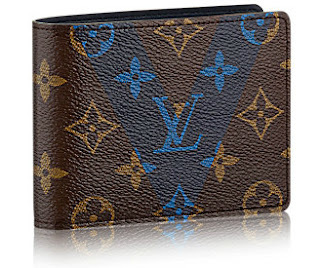 Wallet Zippy Vertical - probably the most stylish crocodile wallet for bills, credit cards and coins from Louis Vuitton. 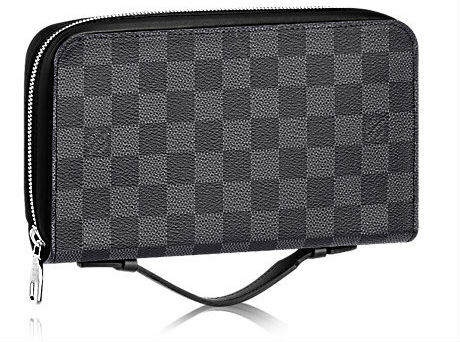 Due to the plurality of compartments and pockets it is also extremely practical. Extremely soft leather Damier Infini, which applied an exquisite embossed pattern in the form of the legendary houses, helps to create courageous and elegant image. Wallet Marco with Monogram canvas allows you to securely store change thanks to a special pocket with zipper on the button. 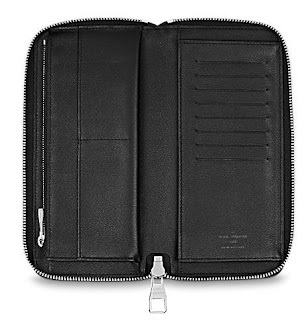 Moreover, it is equipped with three compartments for credit cards and a long compartment for banknotes.